Warnings and additional info: This show contains audience participation. Winner of Amused Moose National New Comic and Leicester Mercury Comedian of the Year makes his Fringe debut after performing as part of the prestigious Pleasance Comedy Reserve in 2018. 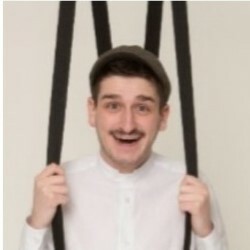 Jack is one of the most exciting new stand-ups on the comedy circuit and has been seen performing at Latitude providing tour support for Lloyd Griffith. He is also the runner-up in 2017's Chortle Student Comedy Award. 'Wonderfully surreal visual and physical comedy' (TheArtsDesk.com). 'An absolute natural' (Chortle.co.uk). 'Laugh out Loud funny' (Scotsman).